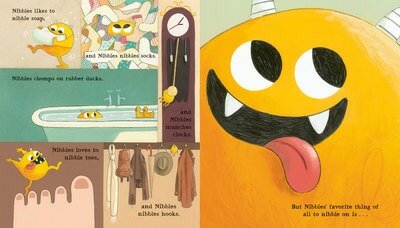 Nibbles likes to nibble soap, and Nibbles nibbles socks. Nibbles chomps on rubber ducks, and Nibbles munches clocks. 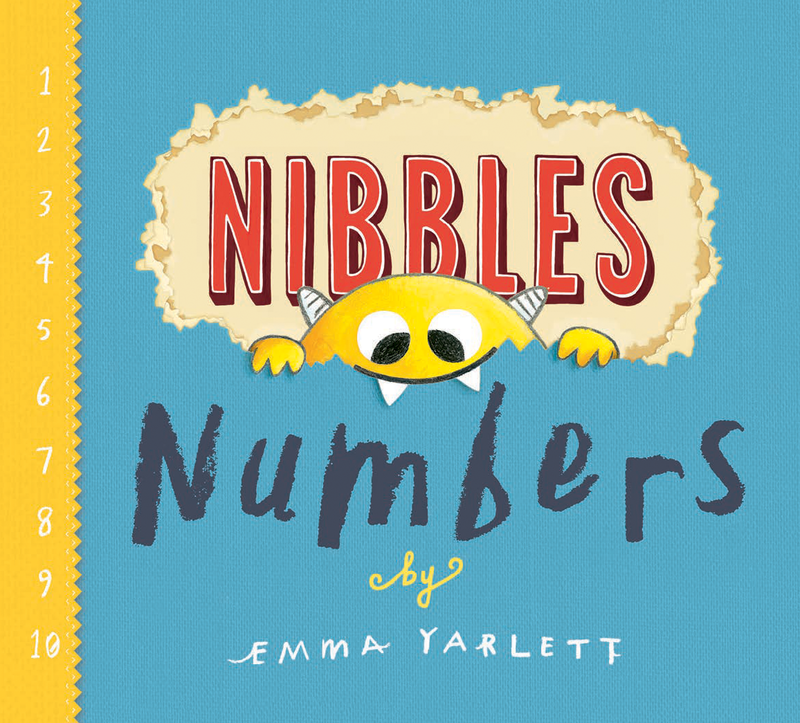 Nibbles loves to nibble toes, and Nibbles nibbles hooks. But Nibbles’ favorite thing of all to nibble on is . 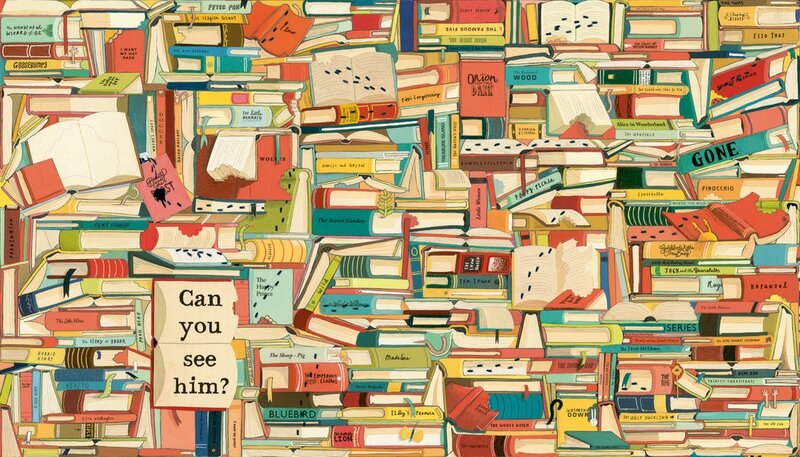 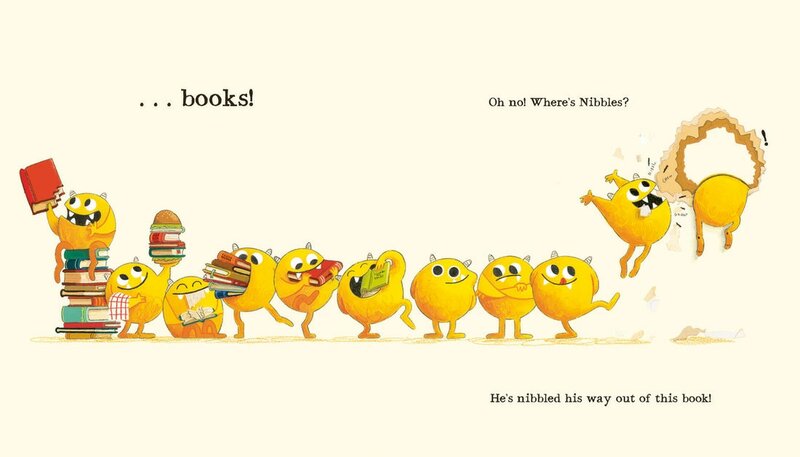 . . books! 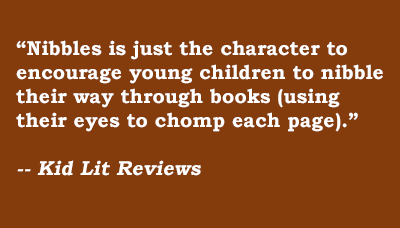 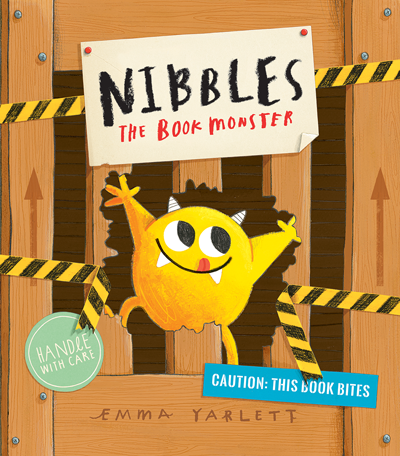 Nibbles the Book Monster is on the loose, and he’s chomping through all of your favorite fairy tales! 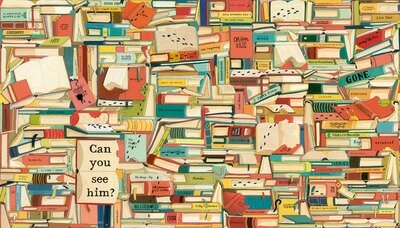 Will anything or anyone be able to stop him? 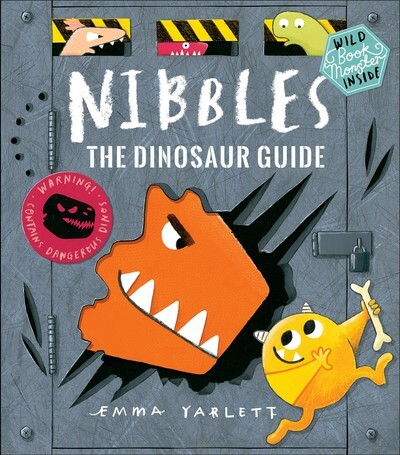 With books within the book, Emma Yarlett’s utterly appealing artwork, and lots and lots of nibbled holes, this laugh-out-loud funny and ferocious charmer’s unstoppable appetite for the printed page will nibble a hole right through your heart. 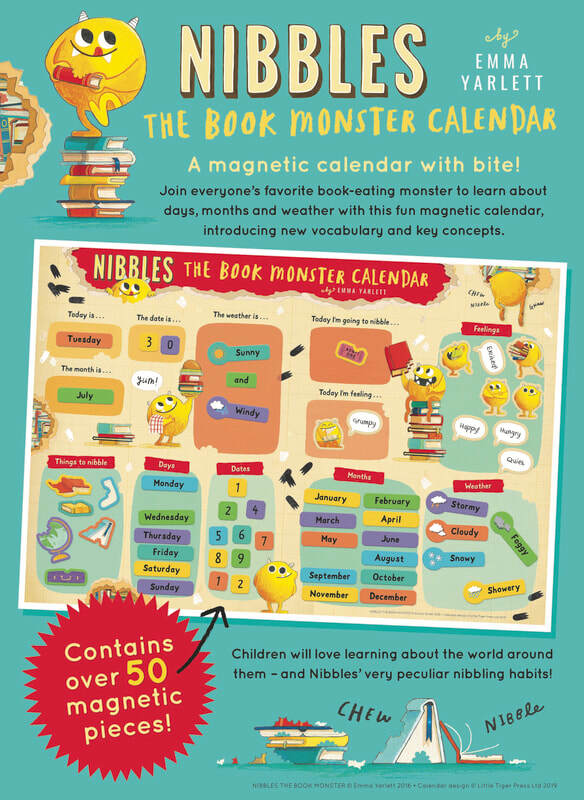 Click here for games and coloring pages from Nibbles the Book Monster!